With SurfWatch Cyber Advisor, you have visibility of your growing digital risk footprint and know how to address relevant threats before it’s too late. 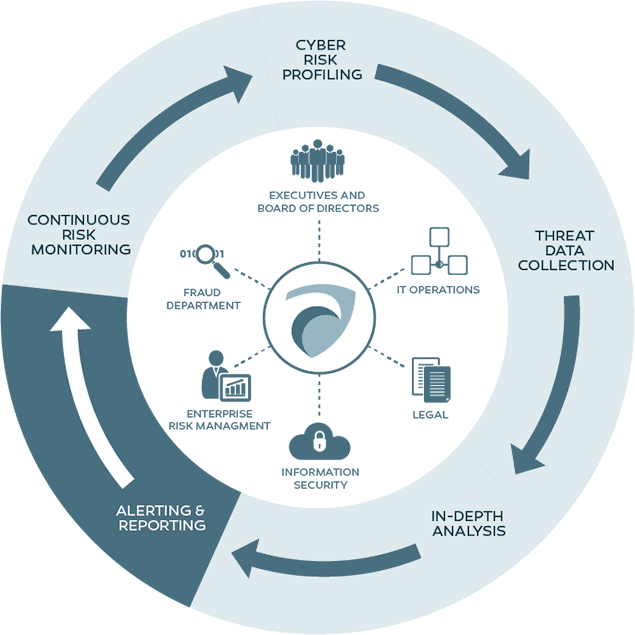 As part of Cyber Advisor you get a team of dedicated analysts who proactively monitor your organization’s specific threat landscape and who can also conduct specialized research per your direction. Gain an intelligence-based approach to security, helping you make more informed risk management decisions and redirect your cyber defenses to address threats that matter most. 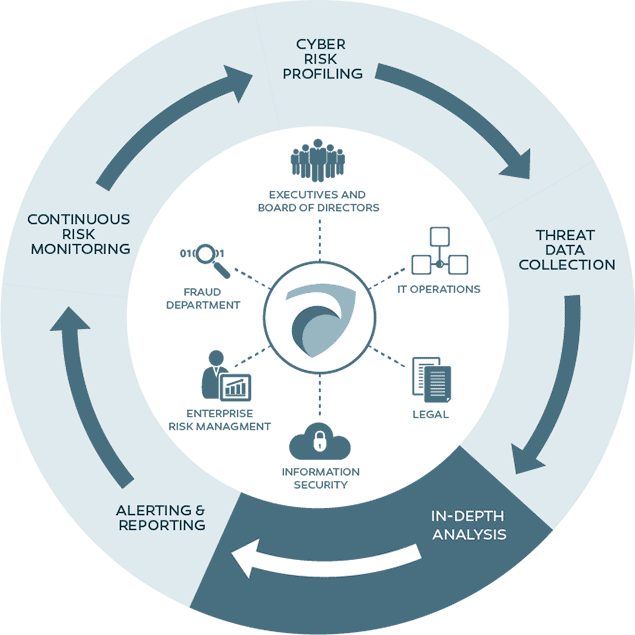 The SurfWatch Cyber Advisor solution combines analytics, products and human experts to immediately establish your cyber threat intelligence operation that drives a prioritized set of tactical defenses. 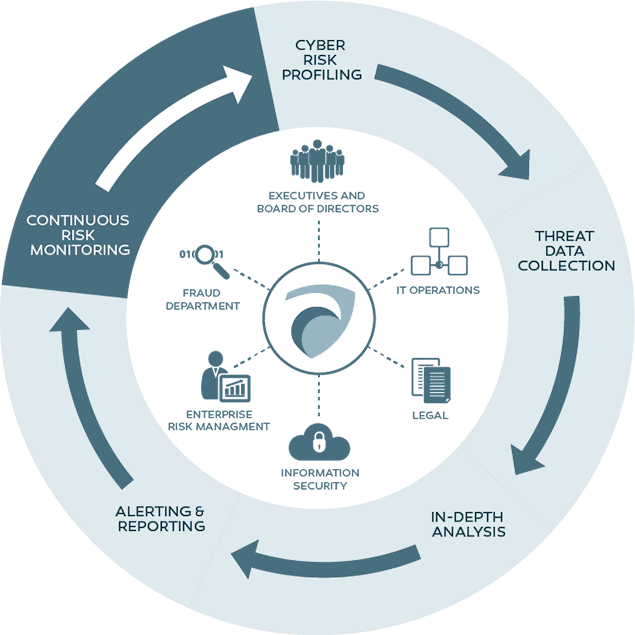 This comprehensive solution takes a lifecycle approach that builds out your personalized cyber risk profile, performs a baseline risk assessment, and continuously monitors your risk profile against relevant, trending threats. When new threats arise to your business, you also get a prescribed set of best practices to effectively mitigate the risk to your organization. Find out more by mousing over each of the stages in the outer circle. Our cyber analyst team works with you to identify your key cyber risk areas including your: industry profile, business processes, stakeholders, critical IT infrastructure, customers and suppliers, brands, proprietary assets, sensitive information and key competitors. As part of building your cyber risk profile, we automatically scan your perimeter and external, customer-facing systems for discovery and monitoring of potential vulnerabilities. Additionally, we can build out your cyber risk dossier to include collection and analysis of threats from the Dark Web. 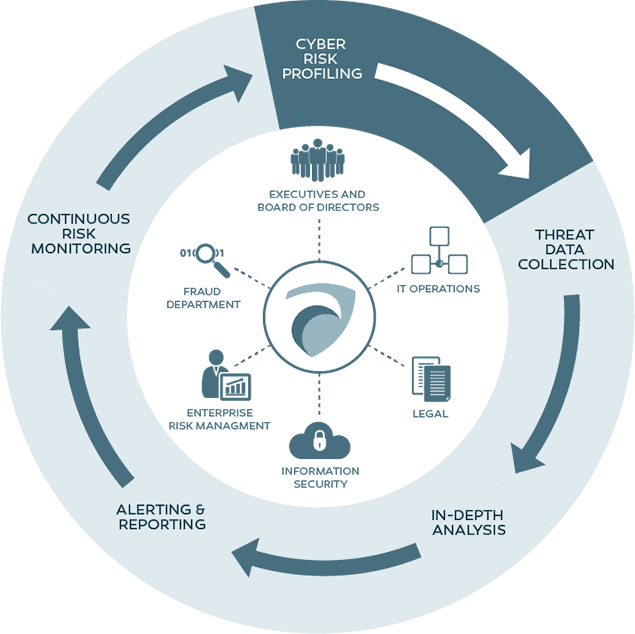 Your cyber risk profile is used as the basis for cyber event data collection, analysis, alerting, reporting and monitoring on not only your technical risks, but also the impact on your key business processes. The SurfWatch threat intelligence and analytics engine leverages natural language and human processing to accurately present relevant threat-related information in a format anyone can understand. 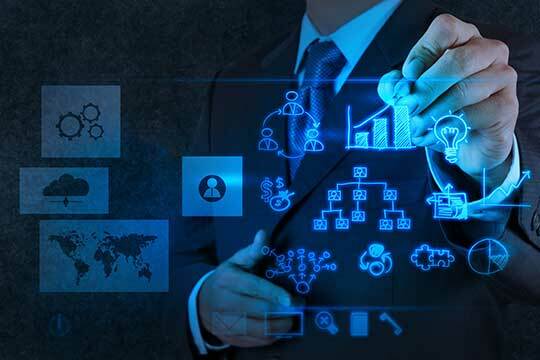 Additionally, our cyber analyst team can perform additional research-driven data collection upon request. Customize the alerting process in terms of who is notified, as well as frequency. 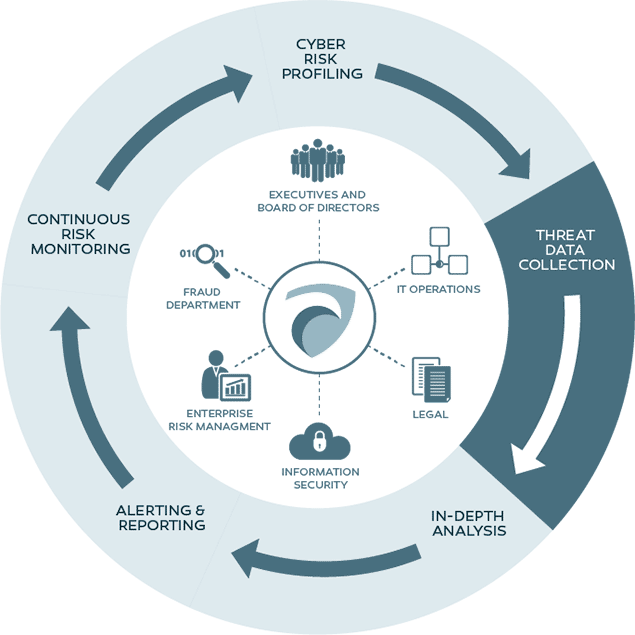 Receive regular intelligence reports summarizing relevant threat information collected and analyzed, along with updated best practice recommendations for mitigation. Receive updated list of phishing URLS and IPs based on SurfWatch-collected data, along with assistance in notifying providers to initiate "takedown"